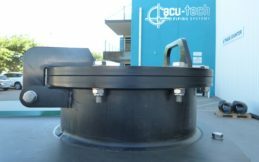 Acu-Tech can manufacture HDPE Strainers or Poly Filters to suit your requirements. 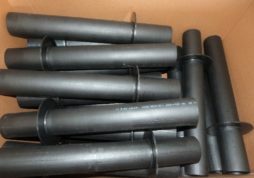 HDPE Strainers are a piece of HDPE Pipe, perforated on all sides to prevent plastic bags or other large debris from being sucked into the pump and blocking it up. 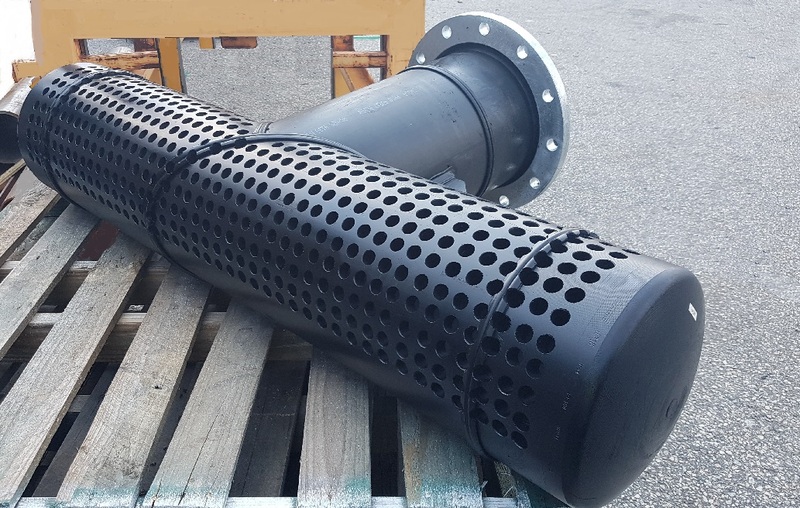 Poly Strainers help avoid damage to the pump, reducing the wear and tear of the motor by flow restrictions caused by debris buildup. The many holes in the strainer provide a large open screen surface area so flow rates can be maintained. 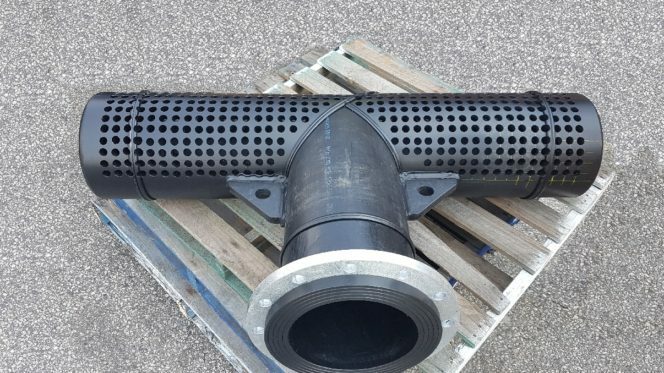 The Poly Strainer can be manufactured with straight or tee configurations (known as a poly tee strainer or poly tee intake screen) – to suit your requirements. 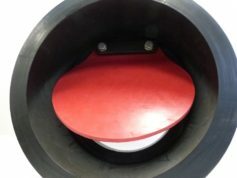 Suction Strainers often have a reducer, stub flange and backing ring on the pipe end, to allow the poly strainer to be connected to a steel or HDPE Pipe. Poly Strainers can be supplied with custom inlet & outlet flange options, including Table D, Table E, ANSI, AS4087 flange sizes, or your own custom design. Polyethylene strainers are often used in dams and salt water environments, because polyethylene will not corrode or rust. 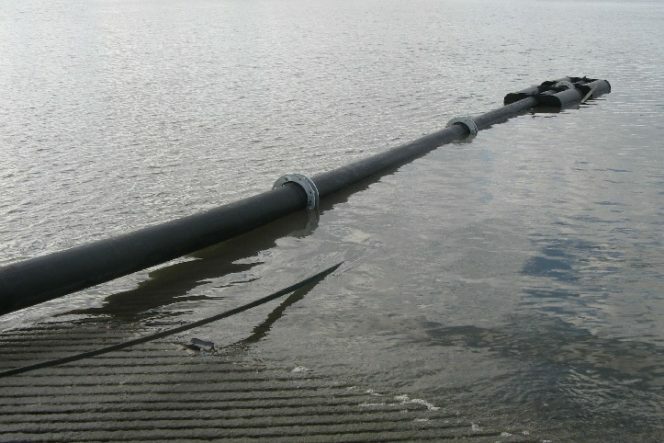 When used in dams or holding ponds, the poly strainer can be provided with a skid bases, to prevent damage and protect the liner. If you need advice or guidance, we’re here to help. 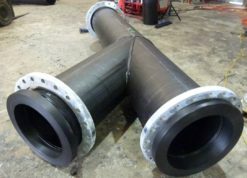 Acu-Tech Piping Systems’ sales team have extensive experience in supplying fabrication services. We encourage you to tap into this wealth of knowledge for advice and guidance. Our Sales Office is ready to take your call on 08 9238 8000 and will ensure that your enquiry is dealt with promptly. Alternatively, to send an email please click here.